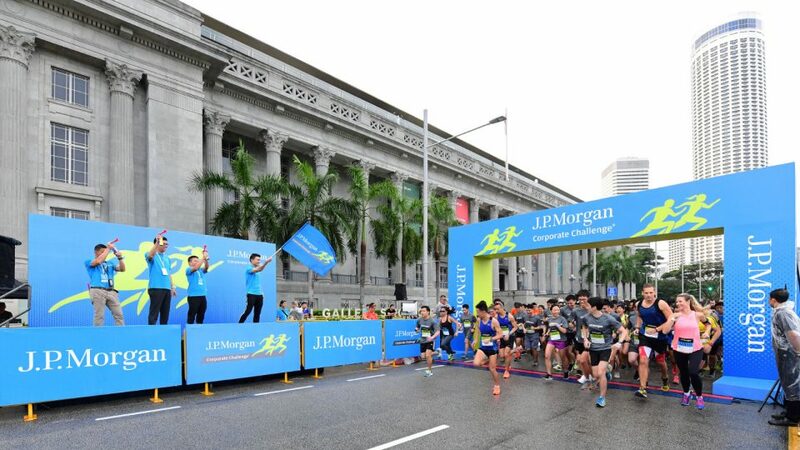 The J.P. Morgan Corporate Challenge Singapore returned for its 14th edition from a new start point at Civic District – on St Andrew’s Road, next to the Padang. 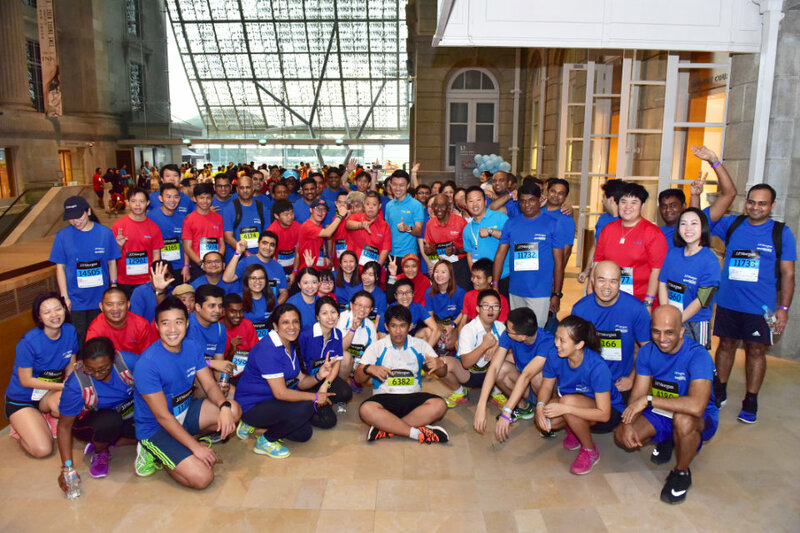 A total of 14,301 participants from 324 companies took part in the largest corporate running event in Singapore on 27 April 2017. 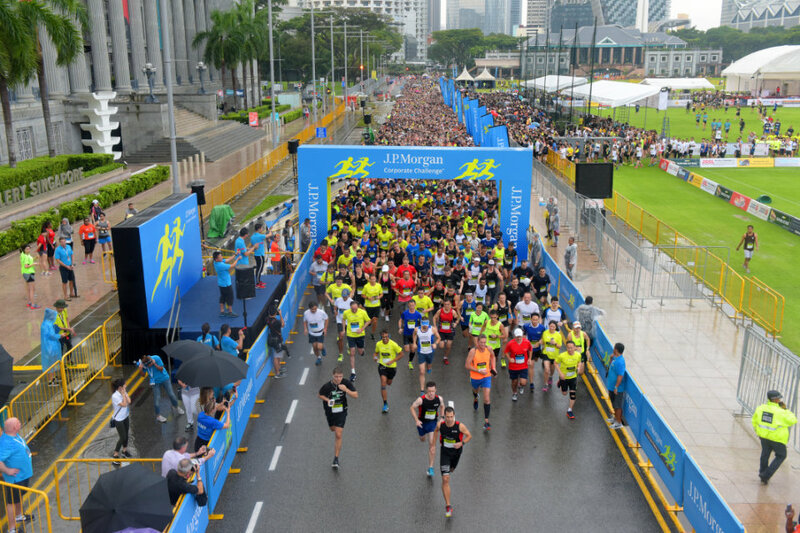 The 5.6km scenic route started from the National Gallery Singapore and finished at the F1 Pit Building. Mr Baey Yam Keng, Parliamentary Secretary, Ministry of Culture, Community and Youth, was the Guest-of-Honor for the race. Of the 324 companies, 130 are listed local and multinational firms with a combined total market capitalization of US$5.9 trillion (S$8.2 trillion). The largest participating companies are: StarHub (552 entrants), Deloitte & Touche (504), SAP (320), AON (300), BNP Paribas (272), Visa (250), Cisco Systems (216), ABN AMRO (196), Standard Chartered (166) and AIG (154). 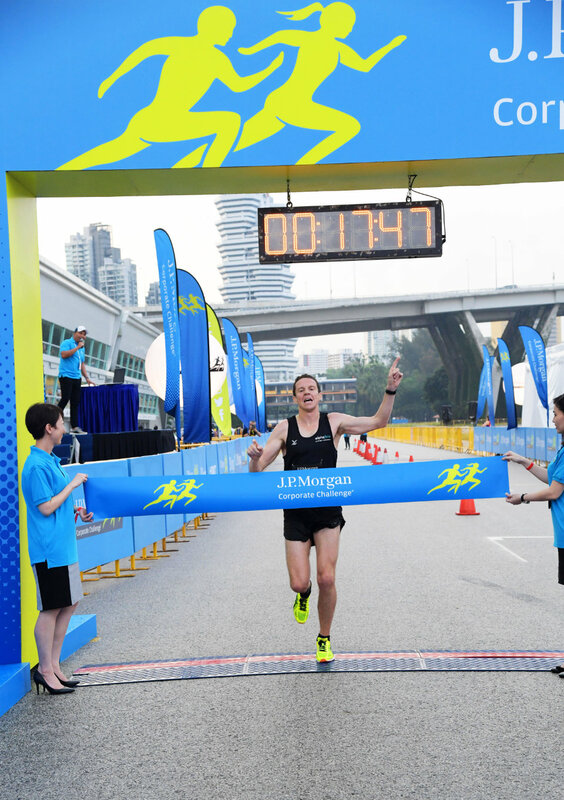 J.P. Morgan made donations to its new beneficiary, Movement for the Intellectually Disabled of Singapore (MINDS) on behalf of all participants. MINDS is a non-governmental organisation which caters to the needs of persons with intellectual disability (PWIDs) in Singapore since 1962. The race is part of a global series that began 41 years ago in New York’s Central Park and is the longest-running corporate sporting event in the world. 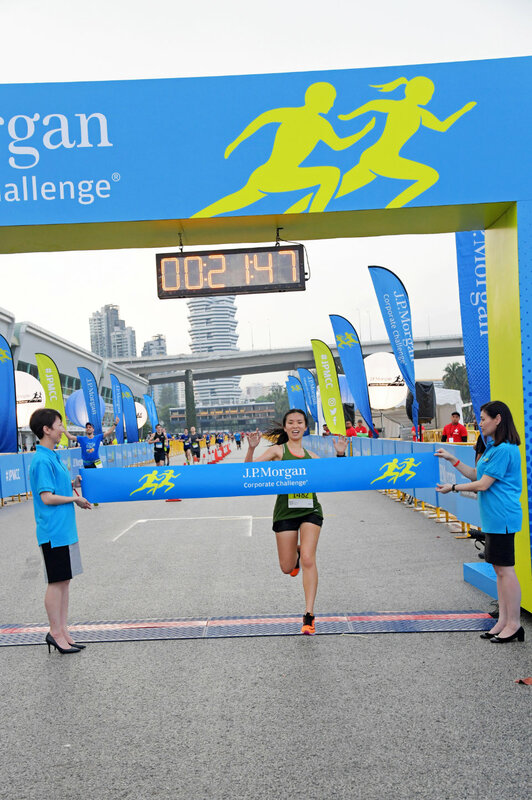 Singapore is the second stop of the J.P. Morgan Corporate Challenge Series 2017. The series will next hit Chicago on 25 May 2017.